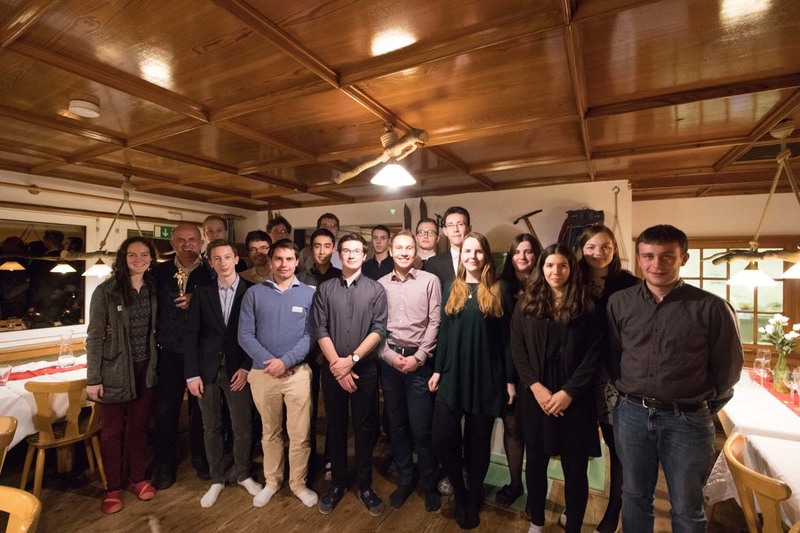 Communication and motivation – these were the topics of ZF Team Building Hut at the Rinkenklause in the Black Forest in mid-March. Together with our coaches Frank Ross and Peter Oster we tackled these areas as a team with games and projects. On the first evening we spontaneously set up an “experience dinner” with the motto “Red Carpet” with an entertainment programme. Despite some mistakes in time management, the coaches were convincing and were able to score many points. Another highlight for team cohesion was certainly the spontaneous “rescue mission” of a team member’s car stuck in the snow. The planned snowshoe hike for dinner in a hut on the summit was simply extended by more than double the distance. Before the departure on Sunday evening there was still a big project to be done. Triggered by the vibration of a call, we should build a chain reaction that finally opens a bottle of champagne. We didn’t make it, and the GFR15 team remains the champion, but we still had fun! Finally, we all feel that we have all gotten to know each other better and also have some practical strategies in place to better motivate each other throughout the season and to avoid or solve communication problems.